Last week, I had a terrible, horrible, no good, very bad week. I won’t elaborate on the details in order to protect the innocent, but trust me, it sucked. The husband was out of town for the week on a business trip and as luck would have it, everything that could go wrong did go wrong. The icing on the cake was the morning (3:50 last Thursday, to be exact) I was trying to catch a few precious moments of sleep, when I heard the distant, plaintive chirp of the smoke alarm. Have you ever noticed that smoke alarm batteries only die in the wee hours of the morning? Of course, the dying smoke alarm was located on the highest ceiling of the house, which meant that I had to go out to the garage in my pajamas and get the Giant Ladder. Normally, I never even touch the Giant Ladder–the shiny, clean 5-footer is more my speed, but there I was, in my robe and slippers, precariously perched about 15 feet off the ground changing that dang battery. I’ve been told that it’s a great idea to change all the batteries at the same time. But, think about that for a minute…can you imagine ALL of them dying and chirping at 2:00 a.m.? Somehow I think it would be better to deal with them one by one. After my sucky week, I retreated to my happy place (my back yard) and had a drink. This drink is so easy that it shouldn’t even be considered a recipe! 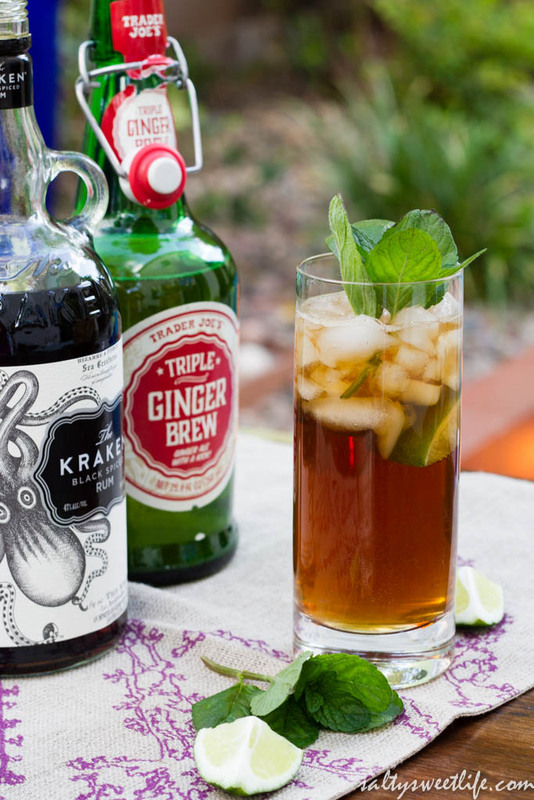 One part ginger beer, one part black rum, a generous squeeze of lime and a mint sprig and you’ve got yourself a Dark and Stormy. It was just the thing to transport me out of my terrible, horrible, no good, very bad week and into a much calmer place. The first time I had this drink was on a pub crawl a couple of months ago and it has become one of my new favorites! I used Trader Joe’s Triple Ginger Beer for this drink, but I actually prefer the taste of Reed’s Extra Ginger Brew. Fill a Collins glass (or a tall slender glass) with ice and add the rum. Fill the remainder of the glass with the Ginger Beer and finish with a generous squeeze of lime. Take the mint sprig in the palm of your hand and give it a quick smack to release the mint fragrance and add the sprig to the glass. Sit back, relax and dream of warm, Caribbean breezes. On a positive note, the weather has been absolutely beautiful lately. 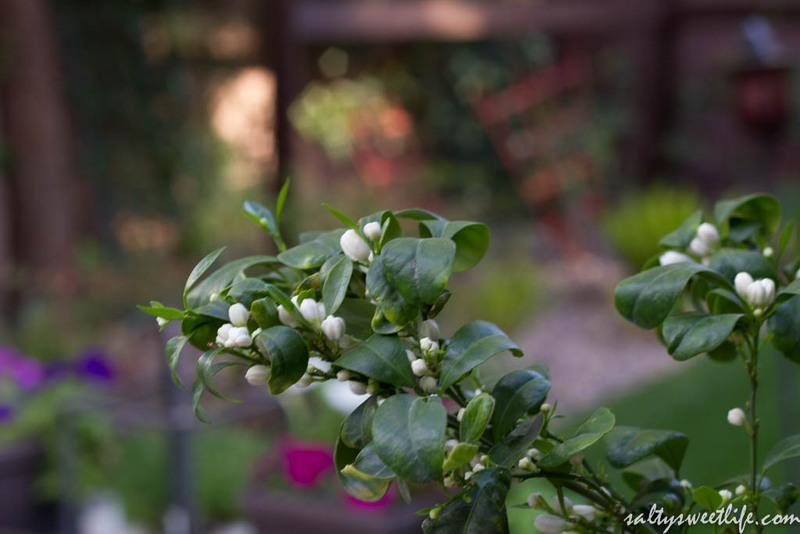 Everything is blooming or is about to bloom and the whole back yard smells of sweet citrus blossoms! 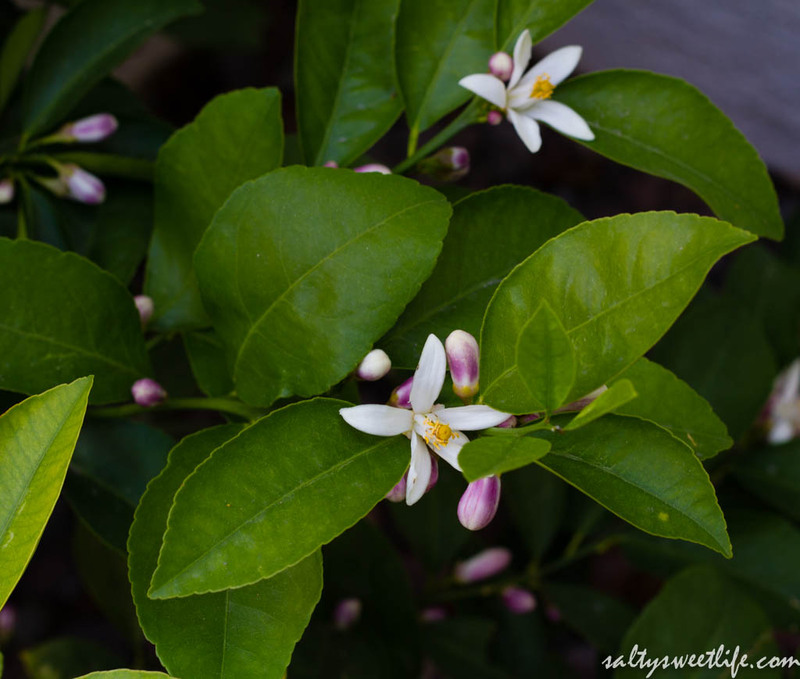 We have two small lemon trees in the backyard that are in full bloom–one is a Meyer lemon and the other is a Eureka. We also have a Mexican (Key) Lime tree, a very small Moro Blood Orange tree, and a Calamondin Orange tree. For a while there, I was calling this part of our yard The Grove, but the show “Walking Dead” has kind of messed that up for me now. I won’t spoil anything, just in case some of you aren’t caught up with it yet, but let’s “look at the flowers”, shall we? The Calamondin Orange is also called a Calamansi Lime–which seems kind of silly–is it an orange or a lime? The fruits are tiny–smaller than a kumquat and they are SO bitter! Like little balls of acid! I still haven’t figured out a use for them, so if you have a recipe or an idea for me, let me know in the comments! Otherwise, they do look pretty and smell wonderful! We had such a mild winter that the petunias I planted last spring are still alive and are in full bloom! Usually, they die out during the winter and I have to pull them out and replant! I don’t know about you, but I’m feeling calmer already! As you know, we live in Southern Nevada where we have very dry air and brutally hot summers. We are always looking for better ways to irrigate our many containers that aren’t connected to the automatic irrigation. The husband ordered these neat little vessels called Ollas from Growing Awareness Urban Farm. 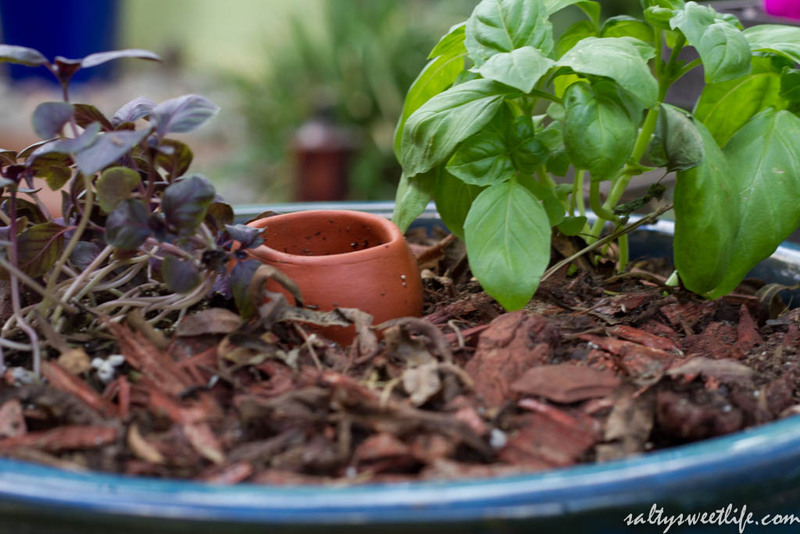 I think they are going to make container gardening a lot easier! 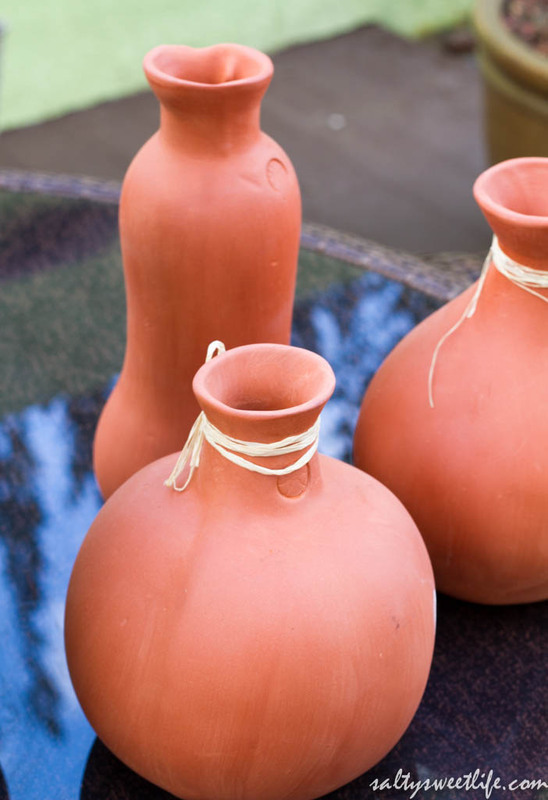 Ollas are unglazed terra cotta pots that you bury in the ground or in a container and fill with water. This ancient method of irrigation works by allowing the water to slowly leech into the soil from the ollas, directly irrigating the roots of the plants! 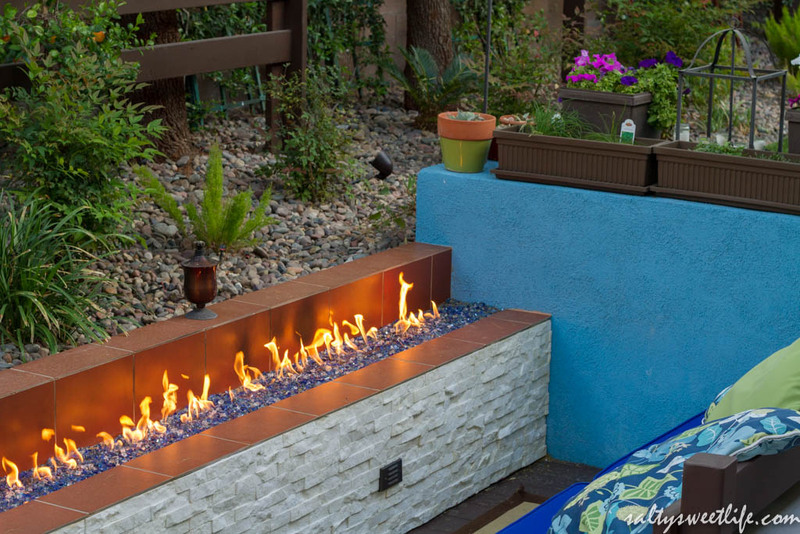 There is no run off and little evaporation, so no water is wasted! 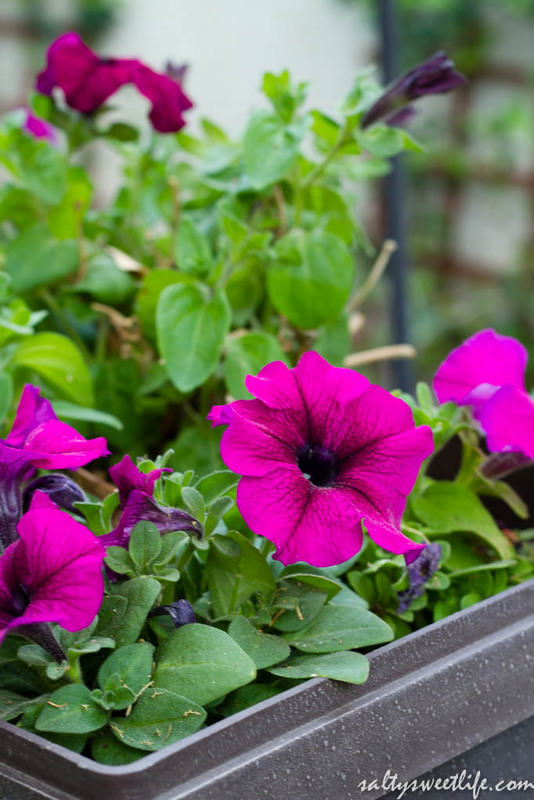 In addition, the leaves of the plants don’t get wet, so there is less chance of leaf mold or disease. It’s definitely easiest to bury the olla before you start to plant, but we “retrofitted” these basil plants with a small olla. So far, they seem to be happy! This week is already shaping up to be a lot better than last week! Thinking calming thoughts! Thank you! 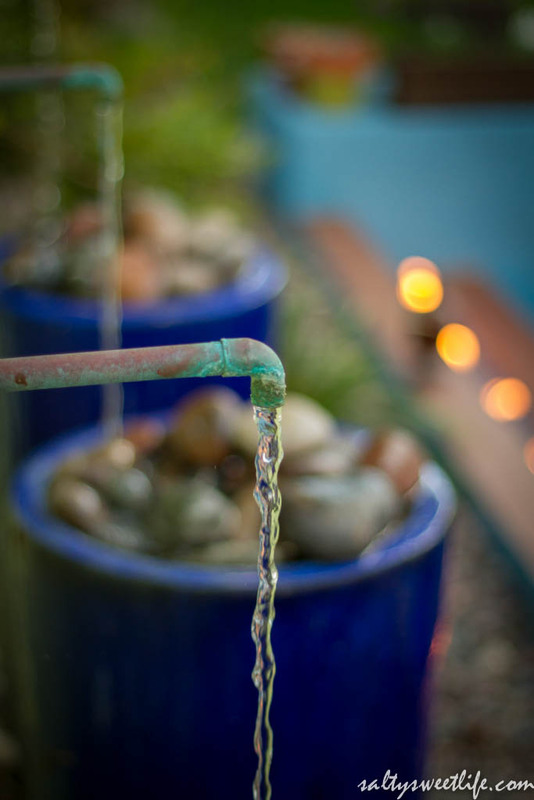 Yes, I think you’re right–because I really appreciating some peace and tranquility now! Here’s to a great week! 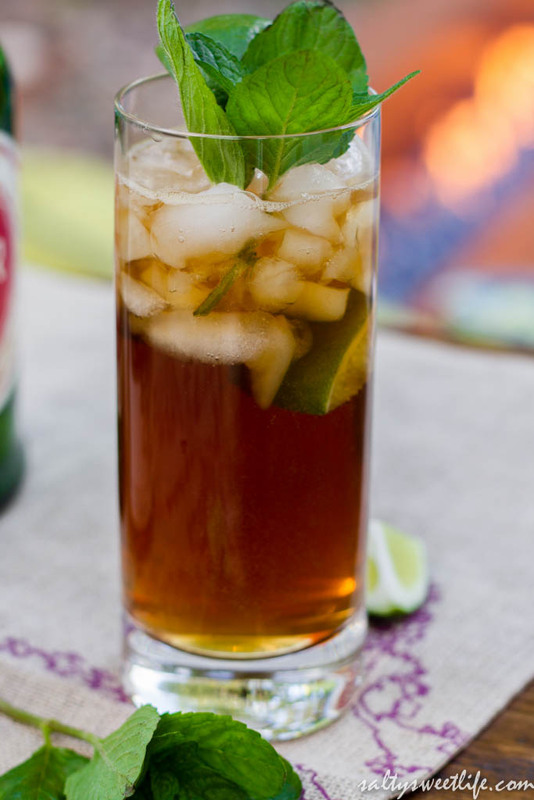 What a coincidence – I posted a dark and stormy recipe a couple years ago right after a particularly nasty work week. The name is perfect for that mood and it’s such an easy drinker tht one can drink several with no problem! Calamansi is really popular in the Philippines. Growing up we used it on a lot of things as a condiment, like whenever people add a squeeze of lemon or lime to food. In retrospect, I wonder where my parents got them in the Midwest. I haven’t seen one in decades…. Haha! That is quite a coincidence! I’ll have to find your post! It was certainly perfect for my state of mind that day! I have heard of squeezing calamansi on meat or fish, but I haven’t tried it yet. Even though we’ve had this little tree for 3 years, this will only be the second time that it has fruited. Last year it was a bust. I’m going to see if it will work in a cocktail for that extra bit of bitterness. Gorgeous photos. I hope the new week brings you a bit more sunshine! Thank you! I hope so too–so far, so good!